Midway Atoll is the only place on Earth where Layasan, Black-footed, and endangered short-tailed albatross chicks live side by side, according to staff at the islandʻs Midway Atoll Refuge and Memorial. This year, two new chicks are joining the flock. 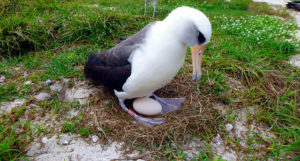 Wisdom, a 68-year-old Laysan albatross, hatched a new chick just this week. According to refuge staff, it is uncommon for albatross to return to the monument to lay and hatch an egg every year, but Wisdom and her mate have not skipped a nesting year since 2006. She has raised at least 31-36 chicks over her lifetime. 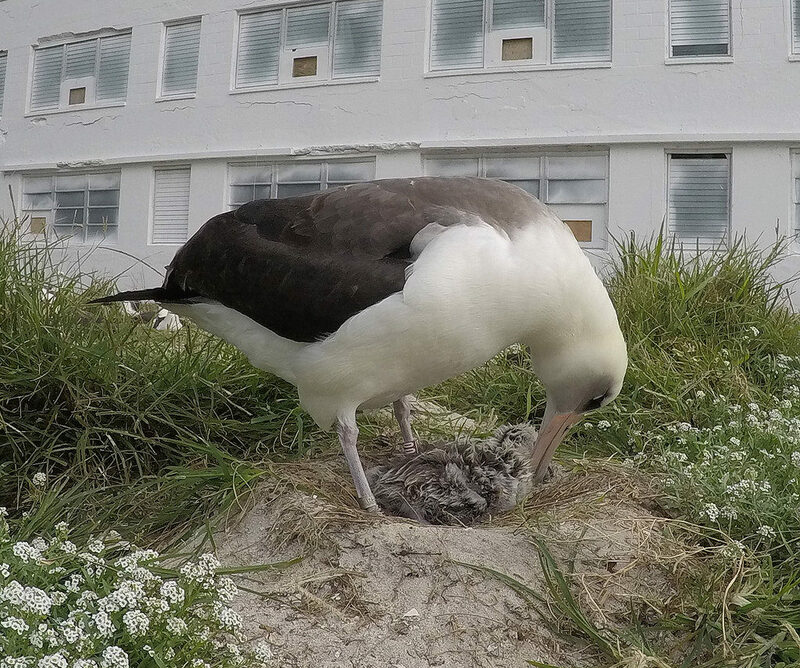 “Because albatross don’t lay eggs every year and when they do, they raise only one chick at a time, the contribution of even one bird to the population makes a difference,” US Fish and Wildlife Service Project Leader for Midway Atoll Refuge and Memorial Bob Peyton said. The other new chick is the offspring of the only endangered short-tailed albatross pair in the Central Pacific, according to refuge staff. Short-tailed albatrosses were pronounced extinct in 1949, but were then discovered breeding on Torishima Island in Japan a year later. 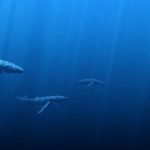 Their population has been rising with the help of global conservation and recovery efforts. This is the first chick for the Short-tailed albatross pair. In 2017, the pair practiced their parenting skills by successfully incubating and raising an adopted Black-footed albatross chick. US Fish and Wildlife Biologist Kelly Goodale said Short-tailed albatrossʻ rarity and size make them stick out in the colony, making it easier to follow them and their interactions with each other. 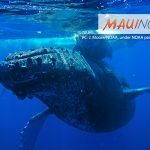 Scientific research and monitoring play a crucial role in managing the refugeʻs wildlife, including seabirds. According to refuge staff, the surveys and banding projects done both on the refuge and throughout the world help scientists better understand the life cycles and migration patterns of birds. Since 1936, over 250,000 albatross have been banded at the refuge. Biologists at the refuge have been analyzing modern data with current and historical records to make more informed management decisions to ensure these seabirds have the resources they need in the future. Over 70% of the world’s Laysan albatross, almost 40% of Black-footed albatross, and the endangered Short-tailed albatross all rely on the refuge, according to its staff. In addition to albatross, there are 20 different bird species that rest and nest on the refuge. Over three million individual birds call the refuge home.